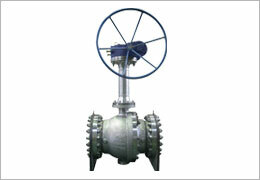 Dongsan Valve co., ltd. is a company pursuing innovation, which having business divisions “Supplying valve to the oil & gas industry” & manufacturing valve automation systems. We supply products to natural gas, LNG, crude oil and refinery lines as well as supply large bore valve to general industrial fields too. 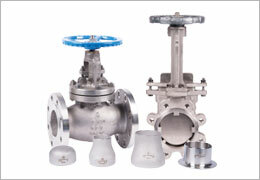 We are strengthening our growth capabilities through ongoing technology development, product investment, education and R & D.
Dongsan’s products meet the international standard such as API 6D, API 608, ISO 17292 and ASME B16.34, and Dongsan produces and supplies large bore valves with the size from NPS 1/2”(DN 15) up to NPS 60”(DN 1500) with pressure class ASME Class 150 ~ Class 2500 used for many other general industrial fields as well as supply line for natural gas, LNG, crude oil and refinery. 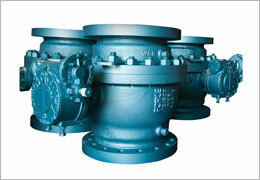 FORCE ball valves meet the strict design, manufacturing and inspection standards, and are used in all industrial fields based on ever-trusted technology and abundant know-how, and are supplied to leading customers across the world. FORCE makes a specialty of Cryogenic service ball valve to the extreme temperature of -196℃ in accordance with the strictest specifications. 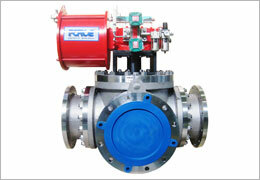 For the FORCE cryogenic service ball valve is supplied with enough length of extended bonnet. And main components such as seal, etc., are selected fully considering the customer’s requirements. Force metal seated ball valve is supplied with customer’s requirements for the special environments like low temperature; high temperature and oxygen line as well as 3Way/4Way ball valve, jacket valve, etc., being supplied too under Force Brand. FORCE sales office supplies and serves control valve, gate, globe, check, butterfly valve in addition to ball valve and many other piping materials such as fittings, flange, pipe, etc., the most quickly in accordance with the specifications which customers want. ﻿Dongsan Valve and FORCE BRAND participated in ADIPEC 2017 in the Middle East, and it was a stunning chance to be with Oil Major Companies such as Shell, Chevron and ADCO in the very close area. Dongsan Valve and FORCE BRAND achieved a great success to make our customers to be satisfied with our state-of-the-art products. Gyeongnam Provincial Government supported Dongsan Valve to take this honorable opportunity, and the writer takes this time to show the expressions of gratitude. We promise to supply high quality products with creativity and innovative technology and services.